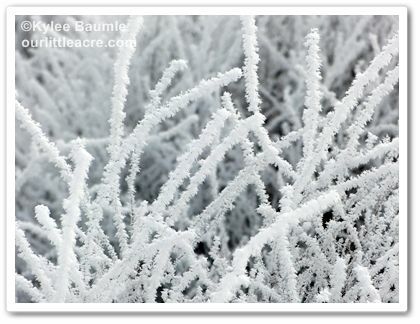 For those who don't know what hoarfrost is, even though it appears to be snow, it isn't. 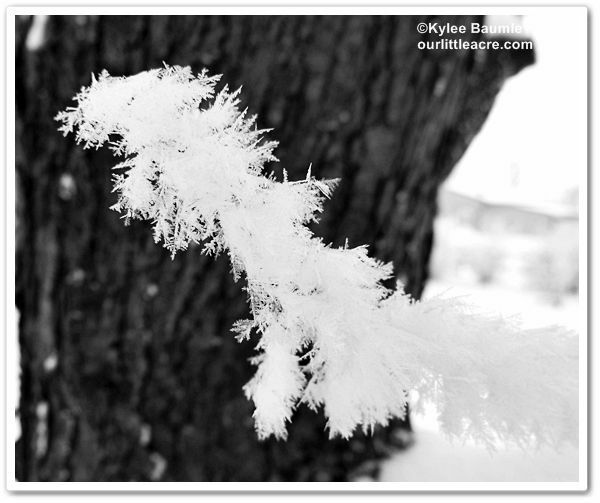 There is snow on the ground in these photos, but the white crystals that have formed in abundance on the surfaces of trees, fences and just about everything but the ground (it's probably there too), is hoarfrost. 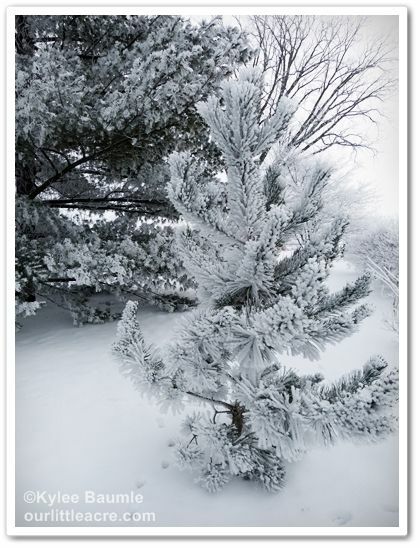 Hoarfrost occurs when the surfaces are colder than the air around them, which has a sufficient amount of moisture in it to cause it to freeze when it comes into contact with the surfaces. 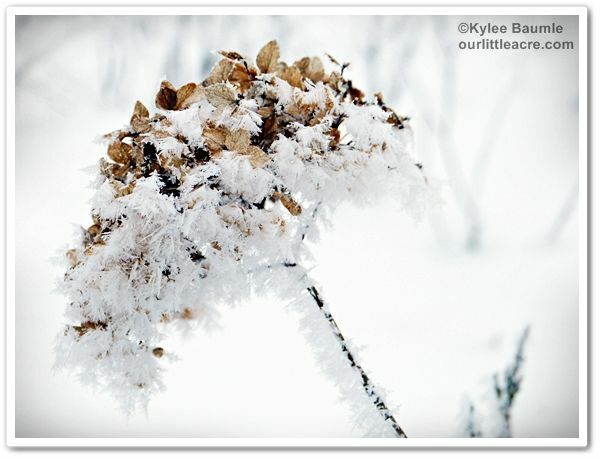 It's different than regular frost, because it continues to build as long as there is no wind to blow it away. 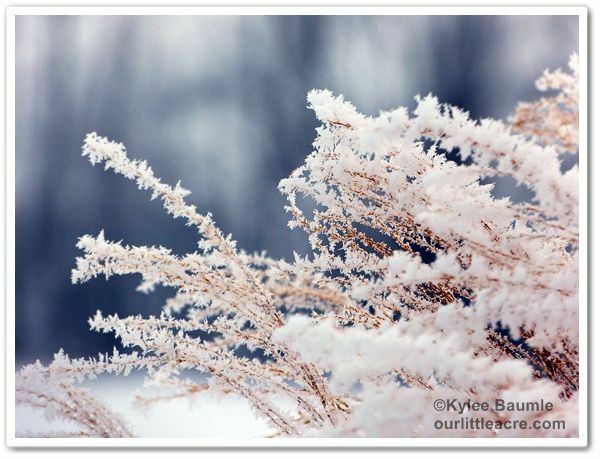 I love seeing hoarfrost. We don't have it here very often. It is difficult to photograph. Great job. Thank you for explaining that. I never knew what the difference is, or how it worked. Such beauty you have captured. 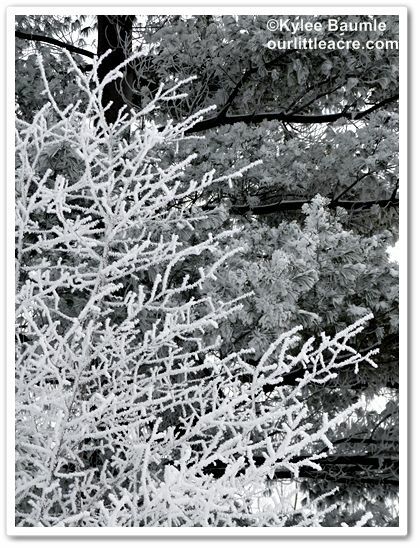 Oh my goodness, I dearly love hoarfrost. 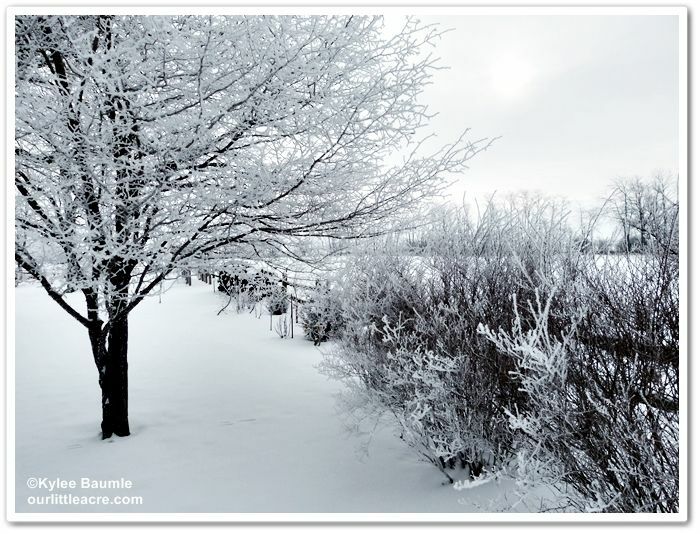 I don't recall seeing any this winter, but then again, I am a bit of a hermit in the cold. Perhaps I just missed it! Lisa ~ We don't have it all that often either, but it's magical when it happens! Jennifer ~ It's so ephemeral, you have to get it when you can! 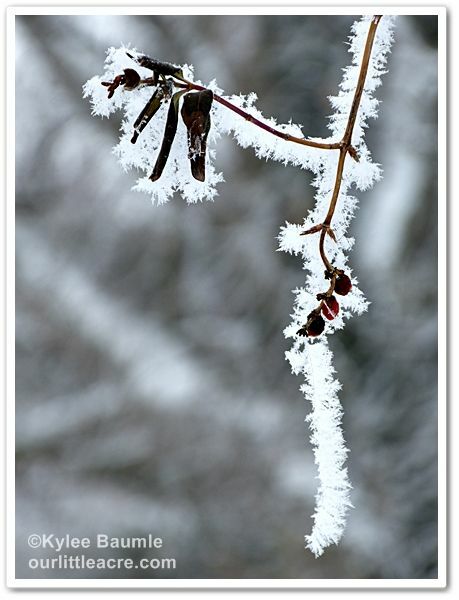 RobinL ~ I tend to hibernate in winter too, and I nearly missed this. 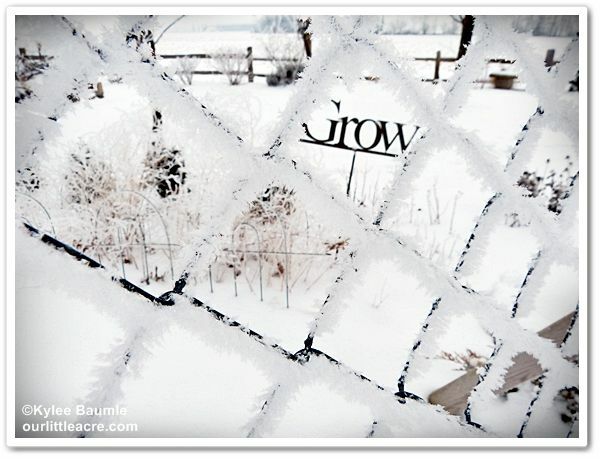 Once a strong breeze comes along, it doesn't take long for it to fall off.